We truly have a global marketplace of consumers. 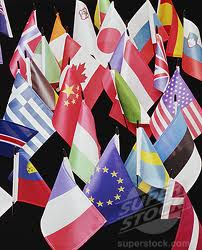 Multicultural markets will account for over $3 trillion in sales in 2011 and that number continues to grow. As an industry, how well do we understand the various cultures that are around us? In addition, how do we make an effort to reach out to them in a unique way? I am not talking about having several ethnicities appear in your advertising. I’m talking about really digging in and trying to understand the lifestyles of the various ethnicities that we serve. Fortunately there is less of the “us vs. them” mentality today, but there is still work to be done. I have seen retail sales associates get frustrated with other cultures, but that will really get us nowhere. The great Wall Street investor Bernard M. Baruch once said, “We didn’t all come over on the same ship, but we’re in the same boat.” He makes a great point. The great news is if we make some effort to kill the existing stereotypes, it can translate into some impressive sales. Addressing this on the selling floor might be the most important place to start, so here are a few things for you to consider. Japanese consumers place a higher value on relationships than they do on a particular product or service. Haggle-friendly cultures such as Puerto Rico, Brazil and Mexico (just to name a few) could hit your sales team with low prices. This has a tendency to irritate RSAs. The reality is that this is a strong buying signal from these consumers. Chinese consumers typically prefer very firm mattresses. Asian consumers are very responsive to visuals. These are just a few examples, but you can see where understanding some of these cultural differences could be helpful when it comes to selling them beds. We don’t want to just blanket stereotype anyone, so BE CAREFUL. However, we should be sensitive to these things and make an effort to learn more about our customers. How do you get better at multicultural selling? First, identify which cultures are strongly represented in your trade area. Then, have some fun! Send some of your RSAs out to a local cultural festival to learn some things about the group and ask them to report back in a sales meeting. How about you simply ask a few of your multicultural customers to come in for lunch to discuss your sales approach? They will likely be open to helping you improve. At the end of the day, it comes down to the return on your investment. You must decide if making some extra effort here will pay off. If you look at Walmart, the largest company on Earth, you’ll see that they spend a great deal of time on this very topic, and I promise you they track those results. If you were to grade yourself on how much time you spend talking about this issue in your company, how would you do? You bring up an interesting topic, especially when trying to bring this down to the sales floor level. While I’m not well versed in personal selling, one thing that I have seen at a promotional level in the retail space to break through the clutter and reach cultural niches is the adoption of a multi-cultural mentality when developing their promotional calendars, creative development and media placement. A surefire (and rather easy) way to connect with the varied ethnicities is to incorporate their holidays and treat them like other holidays – sales, special offers and other unique promotions that welcome everyone through the door. Culture Does Matter – Mark, I wanted to add to your excellent poiint – in addition to understanding the demographics where your located, take reatail sales a step further. Typically, our “Holday Sales” are geared to traditional holidays, Memorial Day, Independence Day, Labor Day, etc. Understanding the culture in your market will bring awareness of holidays important to them. It may be an occasion where their pride and overall positive outlook may just make them happier, possibly more open to make a purchase decision. Identify holidays and celebrations like Nisei Week, Chinese New Year, Mid-Autumn Mooncake Festival, or Mexican Independence Day not just the common ones like Cinco de Mayo. Very good point Denise! How about Festivus?! ?